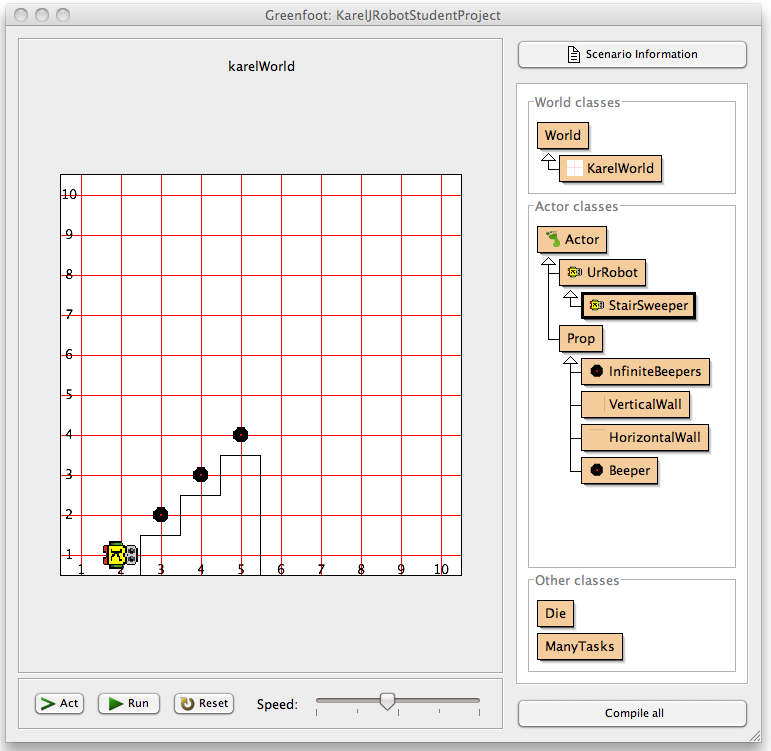 Greenfoot is a framework for novice programming that admits sophisticated learning scenarios. It is available from http://greenfoot.org. 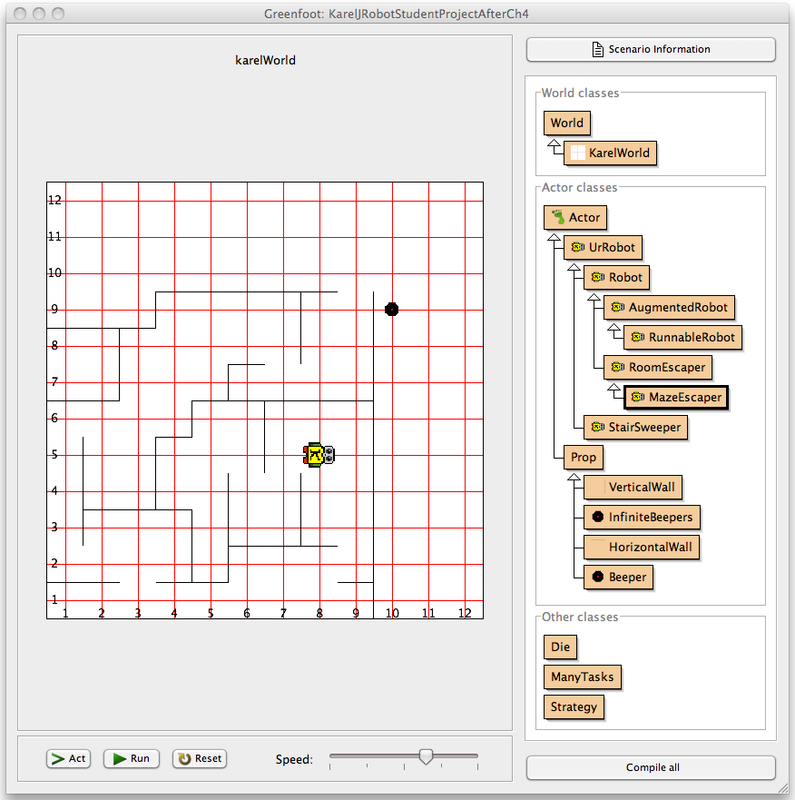 This is a full-featured Karel J Robot simulator that lives within the Greenfoot system. Available for download now is a student project suitable for the first four chapters of Karel J Robot. A separate download will be provided that extends this world for the remaining chapters of the book, as well as instructor materials and additional exercises that take advantage of the Greenfoot system's characteristics. Here is a view from Chapter 6, after the Robot class (and some others) has been added and some student work has been accomplished. To obtain and run this simulator, first download and install the latest version of Greenfoot (3.1) from the link above. Then download the student projects from the greenroomm site: https://greenroom.greenfoot.org. Expand the link to get a Greenfoot project and double-click on the Greenfoot icon within the resulting folder. Additional materials are available on request from instructors (and home-schooling parents) by contacting the author. Here is a movie of the StairSweeper in action. Here is a movie of a robot solving the eight queens problem: placing eight non-attacking queens on a chessboard.